Natural or legal persons who operate legally within Greece for at least one (1) year, with their principal activity – as defined by the tax law and based on the national classification of economic activities in accordance with [1100330/1954 / DM / 6.10.2008 decision of the Minister of Economy and Finance (GG 2149 B ‘] – the profession of producer of audiovisual works and is an independent producer according to the applied, national and EU legislation (Article 10 of Law. 2328/1995 as amended and as applied, article 5 par. 5 Law. 3905 / 2010, Article 18 of Presidential Decree 109/2010, Directive 2007/65 / EC). The legal persons/entities represented by one or two natural persons who are involved in the company’s management or are shareholders. Natural persons of Greek origin who practice, in any foreign country for at least (1) year, the profession of producer of audiovisual works or participate in the capital or in the management of a production company of audiovisual works or have an employment affiliation as producers with a foreign production company of audiovisual works. Companies whose turnover is significantly influenced by the production of audiovisual works in Greece. Associations/unions with the legal personality of the aforementioned companies. The associations/unions are represented by the President or another authorized member of the Administrative Board. A startup or modified vocational certificate. A certificate of registration in the register of producers at the relevant Chamber. A recommendation for admission by two (2) regular members of the Association. Certificates by the relevant authority or equivalent documents which prove their participation in the capital or management of a production company which makes audiovisual works or have an employment affiliation as producers in a foreign production company of audiovisual works. A certificate of registration in the register of producers at the relevant Chamber. In the case of another type of company (see: Members of the Association must be), a registration certificate of the relevant Chamber. Two (2) passport photos by each representative. A copy of the Members Registry Book or such other relevant book. The Administrative Board may ask the applicant for additional information regarding their activities. 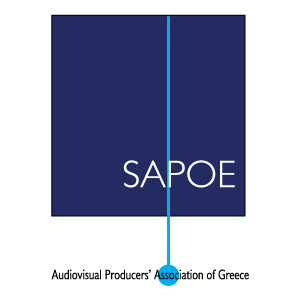 Applications with supporting materials are accepted by email ([email protected]) or by registered mail to SAPOE: Zaimi 27, 106 82, Athens, Greece. Membership is not AUTOMATIC. The applicant receives a written reply to the contact details provided with the acceptance or rejection of the application for registration within approximately one (1) month of receipt of the application. The applicant whose application has been rejected may submit a new application in the future.